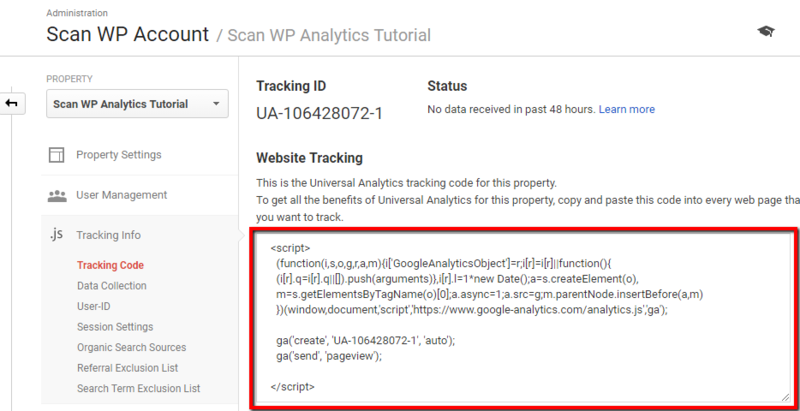 How to Add Google Analytics Script in Wordpress? 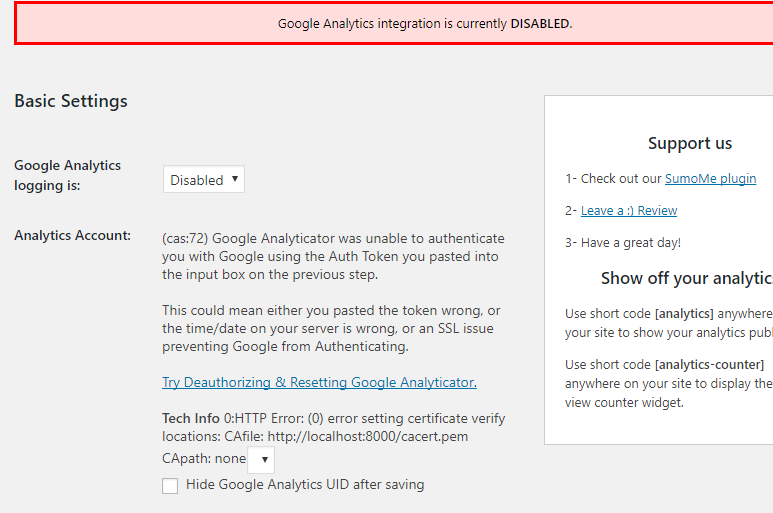 Is Google Analytics Working on Your Wordpress Website? 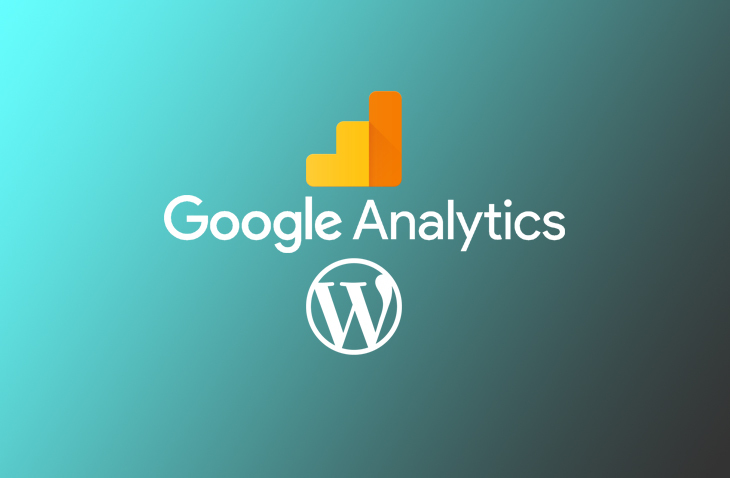 If you have a WordPress website and don’t use Google Analytics (yet), this post is for you. 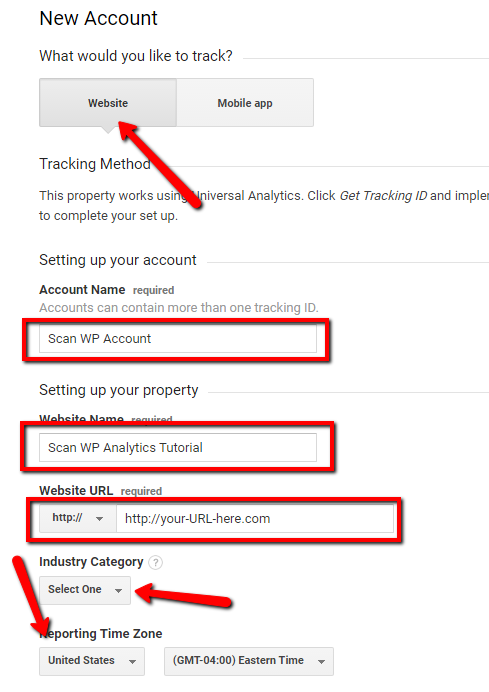 This post will teach you the entire process of how to add Google Analytics to WordPress. 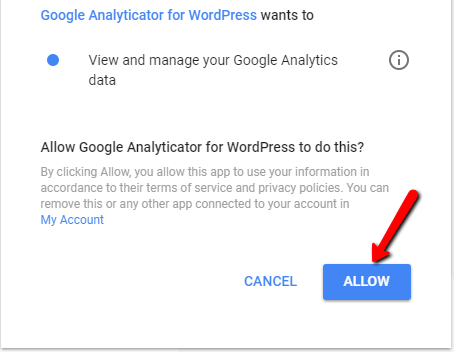 But before we go into creating an Analytics account, let’s understand what Google Analytics is, how it can help us and why we should want to add it to our WordPress website. 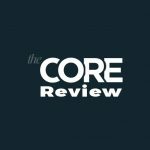 There are so many more options you can get out of Analytics, these are just the tip of the iceberg. 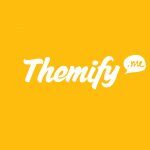 Even if you are not an internet marketer you can understand the importance of having Google Analytics on your WordPress website. First of all, log into your Google account that you want to use in for your Analytics account. Then go to the Google Analytics signup page and start creating your account. When landing on the signup page, this is what you will see. 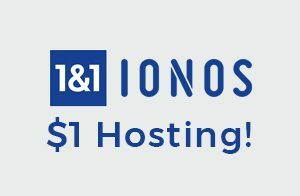 Now, click on the “Sign Up” button. Once you finished adding YOUR relevant information, scroll to the bottom of the page and click on the “Get Tracking ID” button. 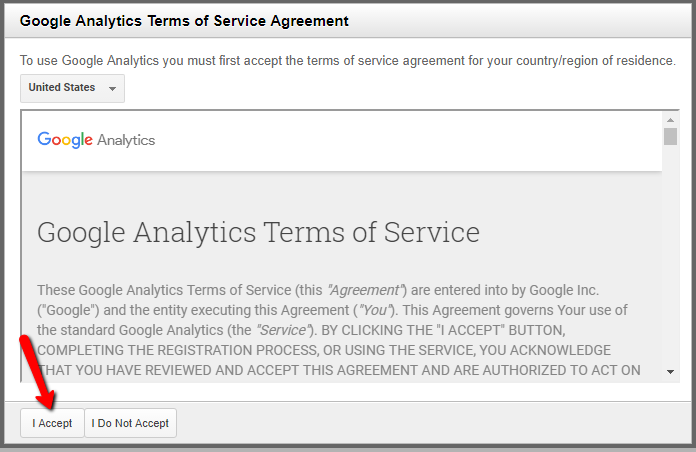 Once clicked, you will be prompted with Google Analytics’ terms of service agreement – click the “I accept” button. We recommend saving this code in a separate notepad file for now, just to have it accessible when you need to add it to WordPress. This is the last step for creating an Analytics account. 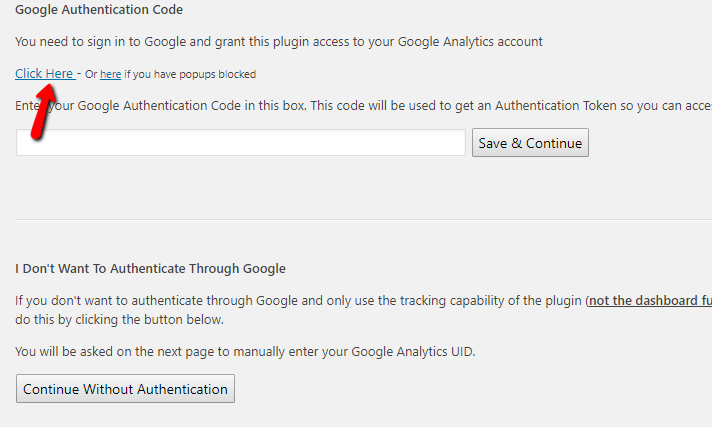 The next step is adding your Google Analytics code to your WordPress website. 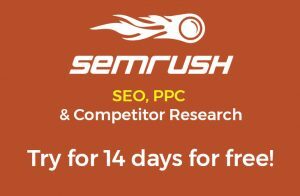 There are 2 approaches to installing Google Analytics on WordPress or any other script for that matter such as Facebook or Google pixels. 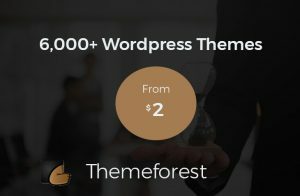 If you are a developer and feel confident adding the code into your WordPress theme’s files, that would be the best approach. 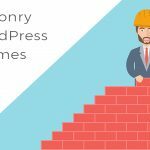 If you are just starting off or are even very knowledgeable with WordPress but just don’t know code – you should use the second approach which is to add a plugin. 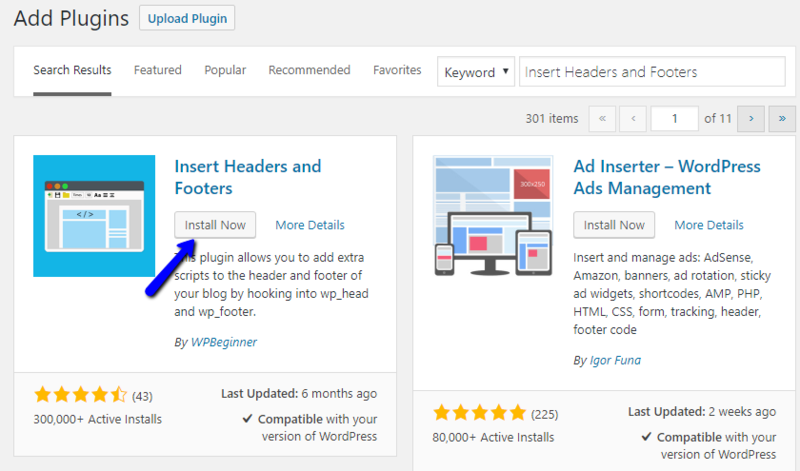 click on the add plugins button on the sidebar, search for “Google Analyticator” and click “install now” on the correct plugin. When the installation is finished, click the blue “Activate” button. Next, click the “Save & Continue” button as displayed in the above image. As you can see, there is a frightening red message above but not to worry. All you have to do is open the top drop down menu and choose “Enabled” and save the page. There are several more settings you can play around with on the settings page but in general, your Google Analytics account should now be ready to go! 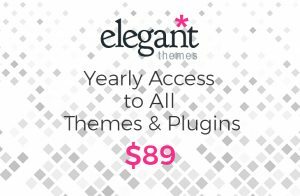 This was the first of 2 different types of plugins we recommend. 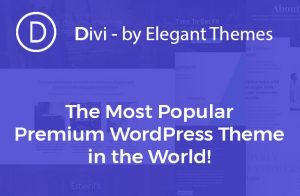 The second type of plugin is a plugin that enables you to add code to the site’s head / body / footer etc. Meaning, this is a bit more “techie” but still pretty simple. 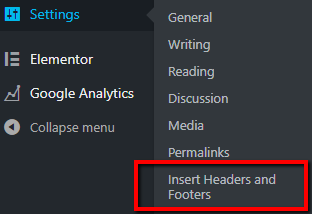 First of all, just like in the previous section, let’s go to the plugin section and add the “Insert headers and footers” to our WordPress site. Next, navigate back to your Google Analytics tab and copy the script code we saw in the first section, or if you copied and pasted into a notepad file just copy that. Now in the “insert headers and footers” page we just paste the code into the header as displayed in the image below. Now just hit the save button and you are done. 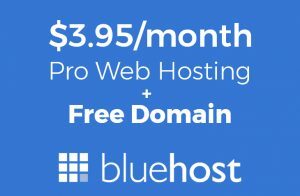 These 2 plugins are both really easy to do and you can have your Analytics account up and running within minutes. The 2nd option is to put the Analytics code directly in our WordPress files. 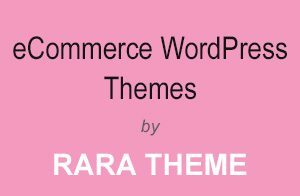 The first option we have is to add the code directly into our theme’s header.php file. 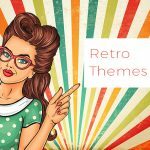 If you are a WordPress developer, most likely that you won’t change your theme in a while but be aware that changing a theme will mean that you’ll have to move the analytics code too. All you need to do is open your header.php file via FTP and paste the Analytics code anywhere before the closing </head> tag. 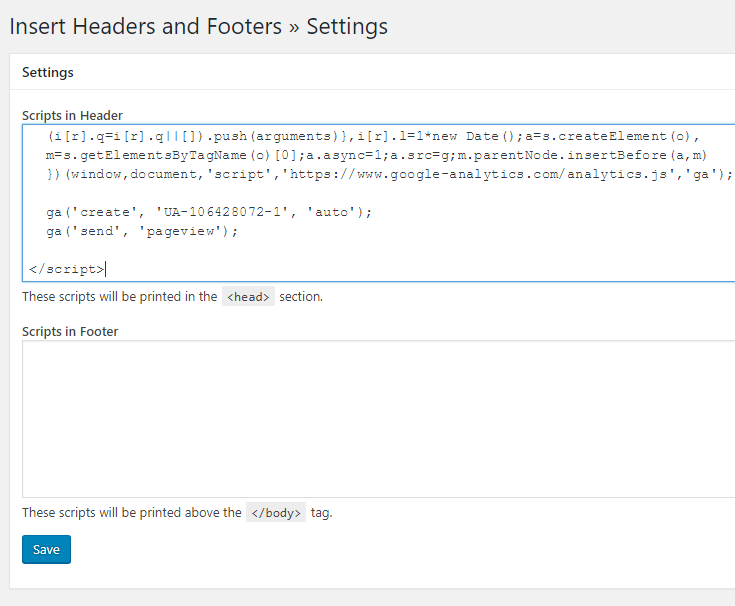 This will automatically add the Analytics code to your head on every page thanks to the wp_head hook. The last step is to make sure your Google Analytics is actually working. 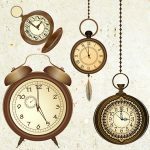 No matter which of the above methods you chose, go within your new Google Analytics account and choose the “real time” option and check if you see any users. Just make sure to refresh your webpage after adding the Analytics code. If you see at least 1 user online – you’re done. Congratulations! Wow! 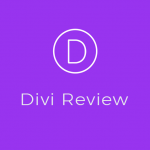 this is a very detailed artilcle on how to add analytics to a site. I have been lookig for something like this for a while now.